Micro-Poise’s geometry measurement systems allow for a complete analysis of the tire sidewall and tire tread width areas. These measurements ensure that the tire will not have any defects that were not able to be detected by the uniformity and dynamic balance machines. These defects could include bulges or depressions in the tire sidewall, as well as in the tire tread that could compromise the integrity of the tire and the ride quality of the vehicle. Please browse our geometry measurement systems below to find an innovative solution to your tire geometry measurement needs. The Tire Geometry Inspection System-Sheet of Light (TGISSL®) measurement system now features the revolutionary AkroSCANTM Sheet of Light Laser Sensor, the most advanced non-contact measurement sensor for the tire, rubber, and plastics manufacturing industries. 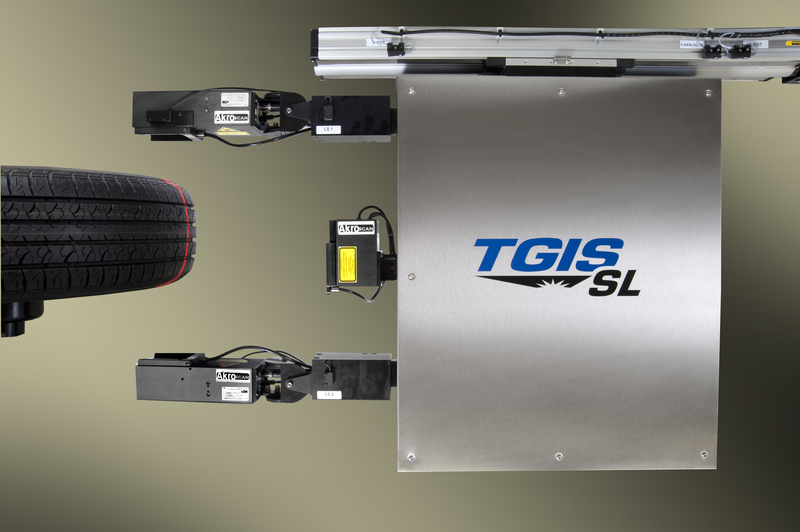 The TGIS-FPL® is a reliable single point laser tire geometry system. This application is designed for customers who only require a single track measurement or whose cycle time allows for multiple measurement cycles on different tracks.